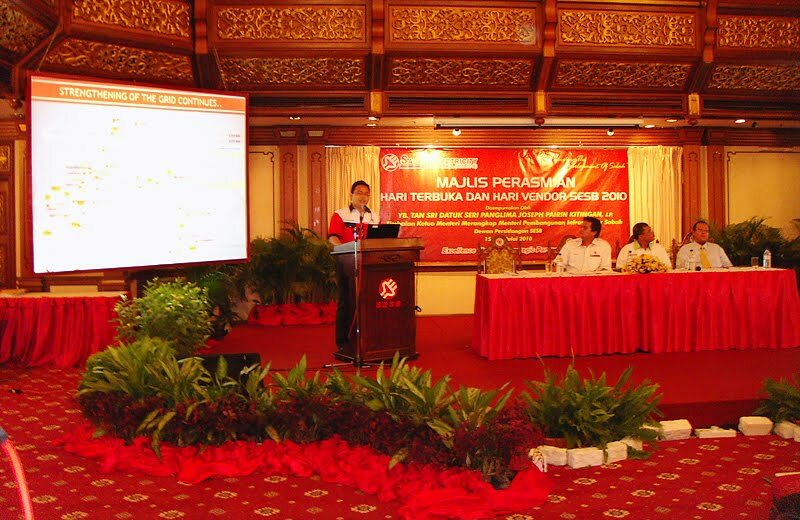 I was at the recent SESB Open Day (17 July 2010) to attend the briefing on the implementation of the proposed coal-fired power plant in Lahad Datu. It was a half day "Taklimat Perlaksanaan Projek Penjanaan kuasa Arang Batu" held to brief the public (upon invitation) on the measures taken by SESB to mitigate ill effect of this particular method of generating power. We were shown video clips of interviews, studies of the environment at the vicinity of the other coal-fired power plants in West Malaysia and Sarawak. Of course this was done by TNB or SESB, and or consultants in favour of this project. EIA report was not discussed but as i understand it, the report would be further deliberated very soon. On who will attend it, is still a question mark. Will write more on the current generating capacity of coal-fired plants in Malaysia a little bit later. What was missing was that there were no external parties making comments or presenting findings/concerns during the open day. Or, should SESB have invited one or two? Or, would they do that, can they do that? I really wanted to hear a second opinion. Maybe opinion from the folks staying nearby, interviews done by a non-interested party. Nonetheless, it was an eye opener as I was like more open to opinion from both camps of 'for and against' now. I wouldn't shut my ear to the government's intention whilst listening to the concern of others. For those who attended it, what's your take on this (the setting up of such power plant)? I'd say stay green, but is such project really the biggest culprit to the preceived hazards?/ accident waiting to happen? Be in the know and judge for yourself. there's a price to pay for that, but then for everything there's cost to it.